Light cured dentin and enamel bonding agent. Can be used with porcelain, metals, and amalgam. No-mix formulation works well in a moist environment. 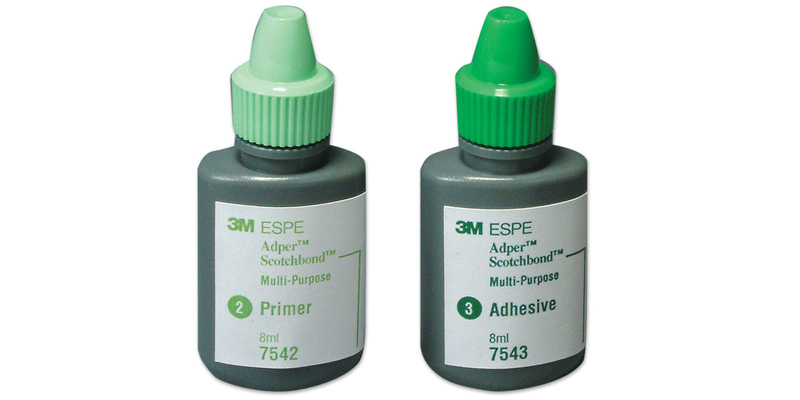 Contains: 1 x 8ml vial adhesive, 1 x 8ml vial primer, 2 x 3ml syringes phosphoric acid etchant, 3 color-coded brush handles, 60 brush tips, 3-well mixing well, 25 etchant applicator tips.